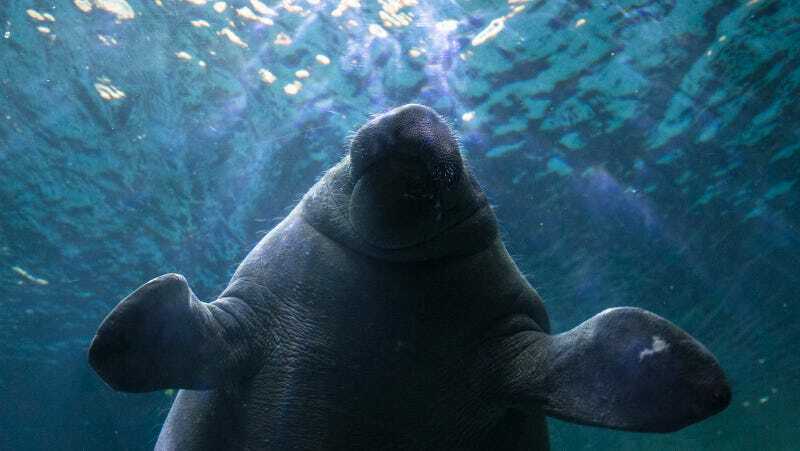 Manatees, the gentle, overtly sexual giants of the sea, have also been imperiled by Hurricane Irma along Florida’s coast. We can’t attest to the safety of all manatees, but a couple have been returned to the ocean after being beached on shore in an inspirational, hands on rescue. Mashable reports that Sarasota’s west coast bay has been left dry as the water drained away in the storm. Normally a safe place for manatees to float, several sea cows were left stranded before they knew what was happening. The ‘tees reportedly “swam off” once they were back in the ocean and hopefully have a strong enough constitution to shake off such a harrowing experience. Batten down your birds! Put away your pups! Man your manatees!